Or: is it safe for the electric kettle's integrity and overall functionality to be used to boil non-water liquids such as milk? *note: I know milk may burn onto the element and be difficult to clean out after, or it may foam up and out of the spout and make a mess. For the purpose of this question, please ignore any mess that may be left behind by these kettle-adventures. I needed hot milk, so I boiled it in the nearest kettle to me, but I think I broke it, as water won't boil any more. I know this, because I tried it myself. This has me wondering WHY boiling milk in a kettle would break it. Logically I think it should simply make a mess, not cause the kettle to cease functioning. The electric kettle is (clearly) not designed for this. The main issue is that milk doesn't evaporate, whereas water (obviously) does. The secondary reason is that milk will burn. Milk is a complex mixture of water, fats, and proteins. The fats and proteins will separate out from the water when heated, and form a layer on top. Unfortunately, this layer prevents the water from evaporating - it traps it. This is what causes milk to boil over. Incidentally, the reason potato or pasta water boils over is due to the starch. The way kettles turn off is by steam reaching the top of the kettle, rushing down a tube and causing a bi-metallic plate to expand unevenly, tripping the switch. No steam means the kettle will never turn off. Because the kettle doesn't turn off, the element continues to heat the milk next to it. With water, the hot water will rise, rather than stick to the element. This means leaving the lid open won't cause a fire - at least not until all your water has boiled away. Unfortunately, milk will burn, and this layer of burnt milk will prevent effective heat dissipation - the milk in contact with the element is not moving throughout the remainder of the liquid. This causes the element to get hotter than it is meant to. However, kettle manufacturers have thought this through - they don't want their products to catch on fire (well, most don't) - even when they are misused like this. They will have built in a small (one time) temperature switch, like this one. This acts a little like a fuse, but for heat, not current. They are often called "thermal fuses" for this reason. When the element reaches a temperature which has been deemed "too hot" (probably around 190ºC, perhaps a little hotter) this switch is tripped, and current can no longer reach the element. I attempted to get a measure of the temperature of the heating element of a kettle, but I could not get good enough contact between the element and my probe. It has been established in other answers that the kettle will likely burn the milk around the heating element. The reason why this might break the kettle is because it would lead to rapid overheating: the maximum temperature of water before it starts turning into steam is 100 C. The maximum temperature of char before it starts to sublimate is in the thousands of C.
Kettles are designed to heat up water, under the assumption that water only goes up to 100 C, and that a heat sensor is immersed in the water that will trigger when 100 C is reached. Furthermore, since water cannot go over 100 C, it serves as a coolant for the heating element, virtually guaranteeing it won't go much over 100 C.
When you attempt to boil milk in a kettle, the milk will form a layer of char around the heating element, partially insulating it from the rest of the (liquid) milk. This will allow the heating element to go well above 100 C, while the heat sensor is happily measuring the temperature of the liquid milk and allowing the heating to continue. At this point, the kettle could break due to its electronic components overheating, the heating element bending out of shape to the point it doesn't connect to the electronics properly, or even melting the kettle itself in the case of plastic kettles. In essence, this is a similar situation to breaking a kettle by running it empty. The heating element can get extremely hot and damage the kettle without the heat sensor noticing. "Is it safe for the electric kettle's integrity and overall functionality to be used to boil non-water liquids such as milk?" It depends from the model and the way in which you do it (see below). Why would boiling milk in an electric kettle break the kettle?" When it happens that "boiling milk in an electric kettle break the kettle" it depends on the way in which the kettle is built, essentially because it is not able to stop itself after the liquid boiling point overcoming or to detect that is without liquid inside. Your question depends on the model of the electric kettle you are going to use, on the way it was projected, on the liquid you want to make boil (or just warm), and the way in which you do it. When you wonder saying "Logically I think it should simply make a mess, not cause the kettle to cease functioning", you are right... you are so right that, nowadays, it exists a wide number of kettle models that are able to safely boil milk. It's enough to search for "electric kettles that boil milk" on some selling site to see it . Moreover not all the models rely on the vapour to detect the temperature (think for example to some kettles that warm the water at 80 C degree for the green tea or 85 C degree for the white one...), so they should be safe especially if the warming coil is below the plate and the thermal sensor is not in direct contact with the liquid. (Note "should be" not "are", even if reasonable to expect). People do it. Look the video on youtube, e.g. in which some cold liquid is added to the milk to avoid its overflow while the foam grows up; there's another method too (see below). (Note: people do wrong and unsafe things too... but in principle is possible to do it). As other users stressed out the liquid you are using as example is not a good behaving liquid :-). It is composed on average for 87% of water (almost all). The boiling point it is almost the same (100 C vs 100.16 C so less the 2 part per thousand). The acidity (pH) is 6.4 - 6.8 well into the range of the drinking water one(6-8.4). It's clear that those physico-chemical parameters are really close. So what can go wrong? ... the milk doesn't boil as the water and leaves residuals! When the milk temperature increases over 100 C the water changes state from liquid to vapour, but the substance in the remaining 13% prevent this micro-bubbles to evaporate, trapping them into a foam. The grow of the foam can be too fast to be detected in time before its overflow. It can leave the the kettle operating with few or no liquid inside. The deposits from the milk on the sensor can inhibit its correct functioning (or inhibit in the future). Risk: one of the others of this list. The overflow of liquid can short-circuit the electric component of the base. Hazard: short-circuit aka electrocution: at risk the electrical system too. Each of the previous points can occur and causing problems to the kettles or not depending on the way in which the kettle is built. 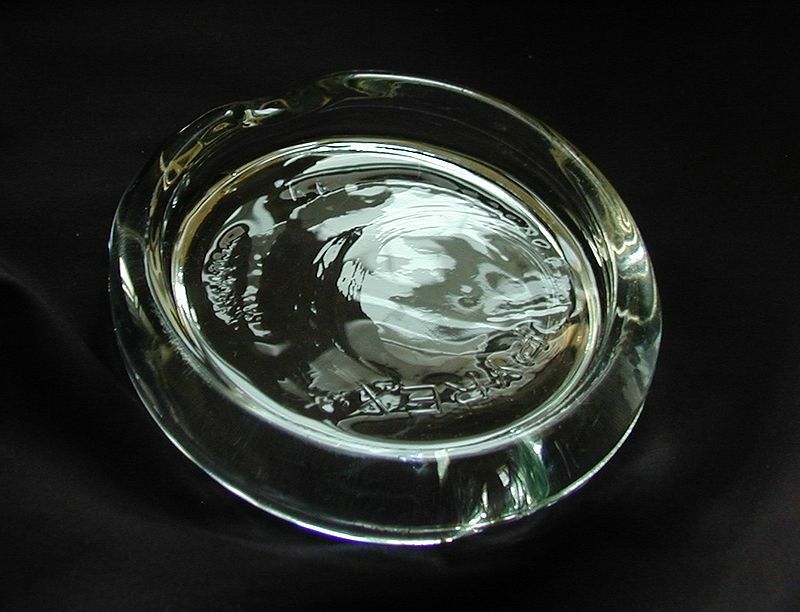 A milk watcher disrupts this process by collecting small bubbles of steam into one large bubble and releasing it in a manner which may puncture the surface film. The device also rattles when boiling occurs, alerting the cook who may then lower the heat setting of the stove. it may hit, scratch or damage the coil or other parts (if not below the plate). Electric kettles put out as much power as they can into the water, so if you put foods that can burn, theres a good chance they will burn. If you try to boil milk, you'll get a bunch of burnt milk on the bottom, which won't be very nice to clean or taste. Milk will probably overflow too, which will make a mess. If you have some kettle like a Bonavita gooseneck, you'll never get the gooseneck clean. If you have a cheap kettle where the heating element is a bunch of coils in the water, good luck cleaning those too. Also, if you have to make a warranty claim on your kettle, they could reasonably deny it. In addition to burnt milk on the heating element, there's a second mechanism that can destroy the kettle: when the milk boils over, milk (froth) can get into the tube leading to the bimetallic switch (boil sensor), coating that in milk and rendering it inoperable. You can boil milk in a kettle, but NOT with the lid on. 1) Boiling milk in ANY kettle: Boiling milk expands more then faster then boiling water. So the kettle needs to NOT have a lid on, if the lid is off you can boil milk in a kettle, just take the kettle off of the heat right before the milk tries to expand. It is not sure that it would burn the milk, it depends what material the kettle is made of, how thick it is and most important what temperature you use. The higher the temperature is, the higher the risk is that you burn the milk and the thinner the kettle is the higher the risk is that you get high temperature too fast. NOTE: That you need to guard the milk so you are prepared to take it off the heat right before it expands. The expansion of boiling milk happens very fast and sudden without any warning, you need to be prepared. REMEMBER to not burn your milk, boil it slowly with not too much heat and not too fast. 2) Boiling milk in ELECTRIC kettle: If you use an electric kettle you should note that it depends how the electric kettle is made. Example if the kettle is a classic electric kettle with an electric steel bar in it, that will burn the milk for sure and break the kettle, because such kettles heat up to fast and uneven. But if the kettle has an electric heated bottom like some more modern electric castles, then it should work as such a kettle works exactly the same as a normal kettle on a stove. But remember it depends on the temperature itself too. WARNING: If you do NOT know what you are doing, do NOT do it, because it could break the kettle or making it hard to clean up if done wrongly, how ever with that said it does not mean it is impossible to boil milk in an electric kettle without making a big mess or breaking it. The best advice is probably "to not let the milk boil unsupervised" because once it boils over, it will be very fast. The meaning of "boil" for milk Although scientifically the word "boil" means "transition from the liquid state to the gas state", milk does no transition from the liquid state to the gas state like water does, but it does it very fast by separating the water from the milk fat, so you need to take it off the heat right before it expands too much and burns. Because the transaction from liquid to gas is not made by the milk, but by the water in the milk and leaving behind the fat on the top of the milk once the milk colds down, there for leaving a thin layer of milk fat on the top of the milk. No worry, that milk fat is perfectly healthy to eat or drink, but you can throw that fat away (that looks like milk skin) if you do not like it. How you can break the kettle: You can break the kettle if milk gets in the electric parts it will make a short circuit. Also if you burn the milk too hard it will make a smell and a burn mark very hard to wash off. But most dangerous is a "classic electric kettle with an electric steel bar in it" for heating, and that is because hose will burn the milk around the steel bar and break the steel bar contacts because of a circuit that the burned milk will cause. And that without reaching to boil the milk because the steel bar will have more temperature then the kettle itself and that will heat up the milk too much near the steel bar and not enough further way from the hot steel bar. That is why never to use a "classic electric kettle with an electric steel bar in it" to boil milk. It's hard to tell what happened in the question you linked – if it was an electric kettle, it might have boiled over and shorted the thing. Not the answer you're looking for? Browse other questions tagged milk kettle or ask your own question. What causes water to boil over? Would trying to boil blood that's been treated with an anticoagulant in an electric kettle break the kettle? Would using milk powder better than fresh milk when poaching? Why use a kettle to heat water? How much powdered milk and water would you need to make exactly 5 tablespoons of Milk? Is water on the outside of an electric kettle dangerous? Why should milk boil to the rim?